To say that the first-century church was a growing church would be a major understatement. The early church did not merely grow; she exploded onto the scene and continued multiplying in number for many years. About 3,000 souls obeyed the Gospel the very day the church was born in Jerusalem almost 2,000 years ago (Acts 2:41). To that number, “the Lord added…daily those who were being saved” (2:47). Despite attempts to stifle the preaching of Jesus and the growth of His church, “many of those who heard the word believed; and the number of the men1 came to be about five thousand” (Acts 4:4). “Believers were increasingly added to the Lord, multitudes of both men and women” (5:14). In Jerusalem, “the disciples multiplied greatly;” even “a great many” of the Jewish priests were “obedient to the faith” (6:7). In Samaria, “the multitudes with one accorded heeded the things spoken by Philip” (8:6); “both men and women were baptized” (8:12). Indeed, “the church throughout all Judea and Galilee and Samaria…continued to increase” (9:31, NASB). The early church increased in number so dramatically in a relatively short period of time for a variety of reasons. First, the church of Christ was not established at “just anytime” in history. “Before time began” God purposed to offer salvation to the world through Christ Jesus (2 Timothy 1:9). God planned for Jesus to come to Earth and for His church to be established at a special and specific point in time in human history, which God chose and foretold. So, “when the fullness of time had come” (Galatians 4:4), that is, “the time which God in His infinite wisdom counted best,”3 Jesus came to Earth and subsequently established His promised, prophesied, and prepared-for church.4 Thus, a rapidly growing early church should come as no surprise. Still, human beings have free will. Simply because God foreknew that the early Christians would multiply in number throughout the world does not mean He overrode their ability to reject the Gospel or to reach out to others with it (even if they did initially obey it). The early church grew so rapidly because the apostles, evangelists, and early Christians were courageous in their constant teaching and preaching of the Word of God. The Christians increased in number because they put a priority on souls and eternal salvation rather than upon materialism and temporary, earthly matters. Despite negative peer pressure, poverty, and persecution, the early church grew because so many disciples were committed (individually and collectively) to telling the world that the Savior, the promised Messiah, had died and risen from the dead, and “commands all men everywhere to repent” (Acts 17:30). They were a praying and preaching people who would not be stopped.5 In fact, for so many early Christians, death was the only thing that would keep them from spreading the Good News of Jesus.6 Ironically, it was the death of Stephen and the great persecution that arose against the church in Jerusalem which actually assisted in the spread of the Gospel in Judea, Samaria, Phoenicia, Cyprus, and many other places around the world (Acts 8:1-4; 11:19-20). Indeed, the kingdom of Christ grew so rapidly in the first century for a number of noteworthy reasons (which, incidentally, Christians in every generation desperately need to emulate in their work for the Lord). Yet, one reason for the rapidly expanding early church often gets ignored in today’s shallow, better-felt-than-told religious environment: the first-century Christians’ commitment to apologetics. Sometime ago a Christian lady e-mailed our offices at Apologetics Press, saying, “I am leery of your name...apologetics…. I am a servant of the Living God and have no need to apologize for anything. But I am seeking an answer and saw your site. So please if you may, answer me this....” In truth, we were happy to respond to Jennifer and let her know that apologetics is, in fact, all about giving answers (and not “apologizing,” as so many think of it in 21st-century America). The English word apologetics is derived from the Greek apologia, meaning, “defense.”7 God does not want Christians to “apologize” (be sorry for) their allegiance to the Lord. Rather, as Peter declared, “[S]anctify the Lord God in your hearts, and always be ready to give a defense (apologian) to everyone who asks you a reason for the hope that is in you, with meekness and fear” (1 Peter 3:15). The word apologetics can apply to almost any subject matter, but most often it is discussed in the context of Christian apologetics. God expects Christians to give an outward defense of their inward hope. He wants His people, not to take up swords in an attempt to spread Christianity with carnal warfare, but to charge ahead with “knowledge” and “the word of truth” (2 Corinthians 6:6-7). Disciples of Christ look to “destroy arguments and every proud obstacle to the knowledge of God, and take every thought captive to obey Christ” (2 Corinthians 10:5, RSV). God desires for Christians to base their actions upon Truth that is honestly and logically defended rather than false doctrine, which is dishonestly or naively accepted and emotionally driven. Admittedly, the early Christians were full of emotions. They joyfully recognized that the long-awaited, much-anticipated Messiah had just recently come into the world and established His spiritual kingdom.8 They penitently acknowledged their sins (Acts 2:37; 8:24). They lovingly sacrificed their material possessions in order to help the poor among them (4:32-37). They were concerned for the safety of their brethren who preached openly in the face of their enemies (21:12). They rejoiced “that they were counted worthy to suffer shame” for the name of Jesus (4:41) and courageously continued “preaching the kingdom of God and teaching the things which concern the Lord Jesus Christ with all confidence” (28:31). But in the end, whatever feelings they had, whatever emotions they felt—these sensations were not the driving force behind their allegiance to Jesus Christ. The early church grew in faith and number, not because they had a better-felt-than-told kind of religion, but because they sincerely believed Truth (cf. John 8:21-36), which they were joyfully committed to spreading and defending. Luke, the physician and inspired writer of Acts, sets the “defense” tone from the very beginning of his brief history of the first 30 years of the Lord’s church. In the first sentence, He reminds his readers of his previous account (the Gospel of Luke), where he recorded those things that Jesus did and taught. In the very next sentence, he concisely, yet reasonably, addressed one critical piece of evidence that would be repeated throughout Acts9 and that lies at the heart of the Good News: Jesus’ resurrection from the dead. How did Luke briefly convey the resurrection of Christ? Was it merely an unverifiable “hope” that he communicated? Did he make an emotionally based appeal using flowery words? Not at all. From the very outset, Luke set an apologetic tone for the book of Acts. Jesus did not offer vague, subliminal messages to His apostles in order to convince them of His resurrection. He did not offer mere whispers in the wind. Luke reminds his readers that Jesus offered “many proofs” (pollois tekmanriois). According to Danker, Arndt, and Gingrich, tekmanriois is “that which causes something to be known in a convincing and decisive manner.”10 No wonder several reputable translations include the word “infallible” or “convincing” alongside “proofs” in Acts 1:3.11 Jesus did not just offer a little support of His resurrection; He gave many “surely and plainly known,”12 convincing proofs that He had risen from the dead. So, to what exactly is Luke referring? No doubt to some of the very proofs that he discussed in his “former account” (and that the other gospel writers gave in their treatises). During the 40 days that Jesus was on Earth after His resurrection and prior to His ascension, He appeared to several individuals at different times, including on one occasion to more than 500 disciples (1 Corinthians 15:5-8). When He appeared to the apostles, He showed them His pierced hands and feet and challenged them to “handle” Him in order to “see” that He was not a mere spirit, “for a spirit does not have flesh and bones” as Jesus had (Luke 24:39). As further physical proof of His “flesh and bones” bodily resurrection, Jesus actually ate with the apostles (Luke 24:41-43). (If you want to prove to someone that you are a real, physical being, eating actual food in their presence would certainly be appropriate confirmation.) Lastly, the Master Teacher taught them the Scriptures (Luke 24:44-49). Indeed, as Luke testified, Jesus gave an apologia—He “presented Himself alive after his suffering by many proofs, appearing to them during forty days and speaking about the kingdom of God” (Acts 1:3, emp. added). On the first Pentecost after the death, burial, and resurrection of Jesus, Peter stood before thousands of Jews and reasoned with them about becoming followers of the recently crucified descendant of David. Consider that his sermon was not an emotionally based appeal for his hearers to “repent…and be baptized” (Acts 2:38). No, in contrast to incoherent, drunken babblers (2:15), Peter testified that what the assembly was hearing and witnessing—the apostles miraculously speaking in languages which they had never studied (2:6,8,11)—was a fulfillment of Joel’s 800-year-old prophecy. Furthermore, Peter reminded his hearers that God “attested” (apodedeigmenon) to the miracles that Jesus worked while He was alive and in their midst. That is, God “demonstrated”13 proof of the divine origin, message, and mission of Christ in such a way that people could actually see the evidence and make an informed, rational decision about Him. The assembly on Pentecost knew that Jesus had been “put to death” only days earlier (2:23), but unlike the tomb of King David, Jesus’ tomb was empty only three days later. Unlike the body of David, which saw corruption, the dead body of Christ had been raised and would never see corruption. Notice that Peter directed the assembly to evaluate the evidence for Jesus’ resurrection, including the implied empty tomb (2:24,29-32), the fulfillment of Psalm 16:8-11 (2:25-31), and the witnesses who stood before them testifying that they had actually seen the risen Savior (2:32). The some 3,000 individuals who obeyed the Gospel on Pentecost were not swayed by flowery words, phony miracles, or mere emotional appeals. They were “cut to the heart” by reason-and-revelation-based preaching. They reacted to a sermon filled with sensible argumentation and properly applied Scriptures. They responded to the apologia of Christ—to Christian apologetics. How did the second greatest missionary the world has ever known (the first being Jesus, of course; Luke 19:10) go about publicly and privately proclaiming the Word of God? What did he say to people? How did he lay out the Gospel before his hearers? Was he like so many modern-day preachers and televangelists who appear infatuated with entertaining audiences with emotionally based productions? Did he ramble on about needing a mere “self-help,” feel-good religion to get through the trials of life and onward to heaven? What did God do through Paul that resulted in so many people in the first century hearing the Gospel and becoming dedicated servants in the Kingdom of God? Christians do not have to wonder or speculate what Paul did. The inspired book of Acts details more about Paul’s work and teachings than anyone else’s in the early church. Just read Acts and you will find that from the time Paul became a Christian until the close of the book (28:30-31), he preached rational, well-argued, truth-based, thought-provoking sermons, “proving (sumbibazon) that…Jesus is the Christ” (9:22). The Greek word sumbibazon means “to present a logical conclusion;” to “demonstrate.”14 Paul gave evidence that lead honest-hearted people to the logical conclusion that, indeed, Jesus is the promised, prophesied Messiah: the Savior of mankind. Though space will not allow for an exhaustive review of all of Paul’s work as an evangelist, consider some of what Luke recorded about Paul’s preaching on just his second and third missionary journeys. Pay close attention to the words that Paul himself used in his preaching and that Luke, one of Paul’s traveling companions (16:10-16), recorded in describing Paul’s work. After planting the church in Philippi and being asked to depart the city by the unjust and cowardly magistrates (16:11-40), Paul travelled to Thessalonica and entered a Jewish synagogue (which was his custom—17:2).15 There he “reasoned with them from the Scriptures, explaining and demonstrating that the Christ had to suffer and rise again from the dead, and saying, ‘This Jesus whom I preach to you is the Christ’” (17:3-4). The apostle’s method of argument, impeccably logical, was to: 1) Appeal to the authoritative Old Testament scriptures; 2) Direct attention to the prophecies concerning “the Christ;” 3) Introduce the fact of history relative to Jesus of Nazareth (e.g., His suffering, death, and resurrection); 4) Press the conclusion that Jesus fulfills the declarations regarding the promised Messiah. Those who were persuaded to become followers of Christ 2,000 years ago in Thessalonica responded to Truth and to the fair and reasonable interpretation of it. The Bereans were open-hearted, honest investigators. Rather than immediately shut their ears at the teaching of Paul because of some bias, or rather than naively believing everything they heard without serious investigation, the Bereans “were more fair-minded than those in Thessalonica, in that they received the word with all readiness, and searched the Scriptures daily to find out whether these things were so” (17:11). The Bereans had a more noble disposition than the many envious, strife-causing Thessalonian Jews. The Bereans listened enthusiastically (prothumias)21 to the teachings of Paul and Silas and searched or examined (anakrino) the Old Testament Scriptures daily. The Greek word anakrino means to “engage in careful study of a question;” to “question, examine.”22 It is to “sift up and down;” “to make careful and exact research as in a legal process.”23 In fact, Luke used this word elsewhere in the context of “a judicial inquiry or investigation.”24 Indeed, similar to how Pilate “examined” (anakrino) Jesus and found no fault with Him concerning the things of which He was being accused (Luke 23:14), the Bereans examined the Scriptures daily to see whether the things that Paul preached were true. And how did the Bereans respond to the Word of God? “Many of them believed, and also not a few of the Greeks, prominent women as well as men” (17:12). “Many” people who made a continual, careful examination of the Scriptures came to the conclusion that what Paul preached was true. 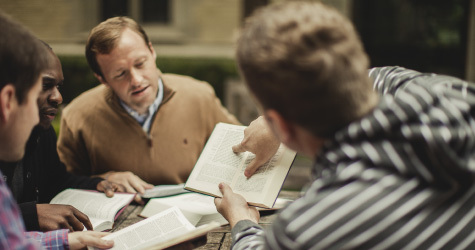 Consider this important implication: if the Bereans were honest-hearted individuals who seriously investigated the teachings of Paul, and yet came to the reasoned conclusion that Paul’s word was factual, then Paul’s preaching was of such high caliber that it could withstand a daily, judicial-type inquiry. Yes, the early church grew out of the New Testament apostles’ and prophets’ commitment to “testable teaching” and “provable preaching.” Indeed, Christian apologetics played a critical role in the spiritual and numerical growth of the early church in Berea. Paul journeyed from Berea down to Athens, where he found a city “full of idols” (17:16). Notice that he became emotionally agitated (“provoked;” paroxuneto) by the thoroughly idolatrous and spiritually ignorant city. “His spirit was aroused within him (by anger, grief, or a desire to convert them)”25—or perhaps all three. He was not provoked in a sinful manner (cf. 1 Corinthians 13:5), but with righteous exasperation he was moved to preach to a thoroughly pagan people. Interestingly, Paul’s emotional, inward stirring did not lead to an irrational, substanceless, emotional rant. On the contrary, upon given the opportunity to speak in the midst of the Council of the Areopogus,26 Paul delivered a masterful apologia before those who questioned his beliefs and teachings. Paul did not begin with the Old Testament prophecies about the Messiah, which was his normal approach when reasoning with the Jews.27 Paul never even directly quoted from the Scriptures. Why? Because Paul knew that his audience on this occasion consisted of pagan Gentile philosophers who knew little-to-nothing about the Old Testament and certainly did not view it as divinely inspired and authoritative. So, Paul began with something the Greeks recognized—an altar with the inscription “TO THE UNKNOWN GOD” (17:23). Although some mocked Paul when he later testified to the resurrection of Jesus (17:32), others were convinced by his sound reasoning “and believed,” including Dionysius the Areopagite, “one of the twelve judges of the Athenian Court,”30 the Council of the Areopagus (17:34). Indeed, Paul’s public apologia on the supremacy of the true God of the Universe (over manmade idols) had a positive impact on those who were sincerely interested in truth. Whereas on Paul’s second missionary journey he only briefly visited the city of Ephesus (Acts 18:19-21), on his next mission trip he remained there for the next three years.31 He began his work by teaching a dozen disciples of John the Baptizer “the way of God more accurately” (cf. 18:26), which logically led to these honest-hearted souls being “baptized in the name of the Lord Jesus” (19:1-7). Paul then spent the next three months in the synagogue “reasoning and persuading concerning the things of the kingdom of God” (19:8). To “reason” (dialegomai) like Paul frequently did is “to engage in speech interchange;” to “converse, discuss, argue;”32 “to say thoroughly;”33 used especially “of instructional discourse.”34 Paul was an instructor of Truth that he could (and did) defend. He rightly divided the Old Testament Scriptures and accurately applied the relevant prophecies to Jesus and His kingdom. However, eventually “some were hardened and did not believe, but spoke evil of the Way before the multitude” (19:9). Thus, Paul chose to take the disciples with him to the school of Tyrannus,35 where he spent the next two years “reasoning (dialegomai) daily” with them, “so that all who dwelt in Asia heard the word of the Lord Jesus, both Jews and Greeks” (19:9-10). Although Paul decimated the illogicality of idolatry in Athens on his second missionary journey (Acts 17), perhaps nowhere in the book of Acts is the contrast between true, Christian apologetics and the irrationality of idolatry made clearer than in Ephesus (Acts 19). Paul had spent months in the local synagogue and years in the school of Tyrannus “reasoning” about Christianity. Furthermore, God worked amazing miracles through Paul as further proof that the apostle’s message was of divine origin and not merely a tall tale repeated in attempts to become rich and famous (19:11; cf. Hebrews 2:3-4). Paul “coveted no one’s silver or gold or apparel” (20:33). His message was true; his defense was logical; and his intentions were honorable. The Ephesian idolaters, however, were the exact opposite. In fact, they did not even attempt to hide their religion-for-earthly-gain mindset. “Demetrius, a silversmith, who made silver shrines of Diana, brought no small profit to the craftsmen. He called them together with the workers of similar occupation, and said: ‘Men, you know that we have our prosperity by this trade,’” and, if Paul is not silenced, “this trade of ours” is “in danger of falling into disrepute” and “the temple of the great goddess Diana may be despised and her magnificence destroyed” (19:24-25,27). Whereas Paul reasoned that “they are not gods which are made with hands” (19:26), the pagan Ephesians were more concerned about money and tradition than truth and reason (19:25). They proceeded to be driven by angry emotions as “the whole city was filled with confusion, and rushed into the theater with one accord…. [M]ost of them did not even know why they had come together,” yet for two hours “all with one voice cried out...‘Great is Diana of the Ephesians!’” (19:29,32,34). Imagine that—repeatedly shouting the same exact expression (“Megala a Artemis Ephesion”) for 120 minutes. As Lenski noted, such is “typical mob psychology. There was no leader, no sense, no object and purpose, no consideration even of the foolishness of its own demonstration.”36 Can you imagine repeating the same phrase hundreds of times for 120 minutes? Even the unbelieving city clerk of Ephesus could see that there was no legitimate “reason which we may give to account for this disorderly gathering” (19:40). Again, do not miss the stark contrast between the true Gospel of Jesus Christ that Paul defended and the repetitive, emotionally charged nonsense that Demetrius and the pagan Gentiles preached. Paul “persuaded and turned away” (from idolatry to the true and living God) “many people” in Ephesus and “throughout almost all Asia” (19:26). He did it without force or the threat of force. He did it without reverting to dishonest, better-felt-than-told, foolish tactics (which were not only characteristic of the Ephesians, but also of many modern-day, phony faith-healers, covetous prosperity preachers, and the like). Paul sought to persuade open-minded, honest-hearted people to follow the Lord Jesus Christ with crystal-clear arguments that could withstand scrutiny, with Scripture that was rightly divided, and with genuine love for the Lord and lost souls. The Acts of the Apostles could be titled Acts of the Apologists, for what the apostles and early disciples did throughout the book of Acts was repeatedly give rational defenses of the Christian faith. Though critics of Christianity often suggest that the Bible advocates a blind faith, the Bible writers themselves expressly noted that they “did not follow cunningly devised fables…but were eyewitnesses of His majesty” (2 Peter 1:16). The apostles bore witness of things that they had actually “looked upon” and “handled” (1 John 1:1-2). They followed the example of the Lord, Who was (and is) the Master logician.37 They continually offered evidence for the case of Christianity as they spoke “words of truth and reason” (Acts 26:25). And what was the result? What effect did such unadulterated, courageous gospel teaching, preaching, and defending have on the world? Within 30 years of the death, burial, and resurrection of Christ the Gospel had been “proclaimed in all creation under heaven” (Colossians 1:23) and many tens of thousands of souls turned to the Lord (Acts 21:20). May God help His church in the 21st century to have the same passion for lost souls and commitment to rationally defending the Way of Jesus Christ that the early church admirably exemplified. 1 Though the Greek aner may sometimes refer to both men and women (cf. Luke 11:31), “this word here appears to be used of men only” (R.J. Knowling , The Expositor’s Greek New Testament, ed. W. Robertson Nicoll [Peabody, MA: Hendrickson], 2:123-124). Cf. Matthew 14:21; Mark 6:44. Thus, only a few weeks after the Lord’s church had been established, it seems that she consisted of 5,000 men, plus all of the female Christians. 2 The word “myriad” is transliterated from the Greek muriades, which may mean strictly “ten thousand” or an indefinite “very large number” (Frederick Danker, et al. , Greek English Lexicon of the New Testament [Chicago, IL: University of Chicago], p. 661). Considering that Luke had just used this word two chapters earlier to communicate “ten thousand” (19:19; where five muriadesis understood to mean 50,000), it seems appropriate to conclude that “many tens of thousands of Jews” had become Christians by the time Paul returned to Jerusalem. 3 Adam Clarke (1996), Adam Clarke’s Commentary (Electronic Database: Biblesoft). 4 Genesis 12:1-4; Isaiah 2:2-3; Micah 4:1-2; Daniel 2:1-44; Matthew 3:1-3; Matthew 10:7; Mark 9:1; Matthew 16:18. 6 Consider the dedication of Peter and John (Acts 4-5), of Paul (14:19-22), and the many Christians who “went everywhere preaching the word,” even as their lives were in great danger (8:1-4). 7 Frederick Danker, et al. (2000), Greek English Lexicon of the New Testament (Chicago, IL: University of Chicago), p. 117. 8 Cf. John 4:25-42; Acts 2:30-47; 8:12. 9 Acts 2:24-36; 3:15; 4:10,33; 5:30; 10:40; 13:30-37; 17:3,31. 10 Danker, et al., p. 994, emp. added. 11 KJV; NKJV; NASB; etc. 12 J.H. Thayer (1962), Greek-English Lexicon of the New Testament (Grand Rapids, MI: Zondervan), p. 617. 14 Danker, et al., p. 957, emp. added. 15 Cf. Acts 9:20; 13:5,14; 17:10; 18:4; etc. 16 Danker, et al., p. 234. 17 “Dianoigoo” (2003), Thayer’s Abridged (Electronic Database: Biblesoft). 18 Danker, et al., p. 772. 20 Wayne Jackson (2005), The Acts of the Apostles: From Jerusalem to Rome (Stockton, CA: Christian Courier Publications), p. 202, emp. added. 21 With “eagerness, rushing forward.” In Berea, they “joyfully welcomed” Paul and Silas (A.T. Robertson , Robertson’s Word Pictures in the New Testament [Electronic Database: Biblesoft]). Christians today should have the same Berean-type eagerness to study and learn the foundational truths of Christianity. Until such serious individual investigation takes place, one’s faith will be weak, and his defense of Christianity even weaker. 22 Danker, et al., p. 66. 25 Danker, et al., p. 780. 26 Areopagus means “the hill of Ares,” the Greek god of war (which corresponds to the Roman “Mars”). According to F.F. Bruce, “The Council of the Areopagus,” was “so called because the hill of Ares was its original meeting place. In NT times, except for investigating cases of homicide, it met in the ‘Royal Porch’ in the Athenian market-place (agora), and it was probably here that Paul was brought before the Areogagus (Acts 17:19) and not, as AV puts it, ‘in the midst of Mars’ hill’ (v. 22). It was the most venerable institution in Athens, going back to legendary times, and, in spite of the curtailment of much of its ancient powers, it retained great prestige, and had special jurisdiction in matters of morals and religion. It was therefore natural that ‘a preacher of foreign divinities’ (Acts 17:18) should be subjected to its adjudication” (“Areogagus” , New Bible Dictionary, ed. J.D. Douglas [Downers Grove, IL: InterVarsity Press, third edition], p. 79). 28 Paul even quoted from the Athenians’ own poets to prove his point (Acts 17:28). 29 R.C.H. Lenski (2001 reprint), The Interpretation of the Acts of the Apostles (Peabody, MA: Hendrickson), p. 734. 32 Danker, et al., p. 232. 33 “Dialegomai: 1256” (1999), Enhanced Strong’s Lexicon (Electronic Database: Biblesoft). 34 Danker, et al., p. 232. 35 Tyrannus “is usually supposed to have been the lecturer who taught” in “the lecture hall of Tyrannus,” but it is possible that he was merely the owner of the building (F.F. Bruce , The Book of the Acts [Grand Rapids, MI: Eerdmans], p. 366). 37 For more information on the logic and sound argumentation Jesus used throughout His ministry, see Dr. Dave Miller’s excellent two-part Reason & Revelation article titled “Is Christianity Logical?” (2011, 31[6-7]:50-52,56-59,62-64,68-71, http://www.apologeticspress.org/APContent.aspx?category=11&article=3869&topic=92).